Salzburg Stadtführer "The Sound of Music"
This little booklet is the ultimate account commemorating "The Sound of Music" in Salzburg. 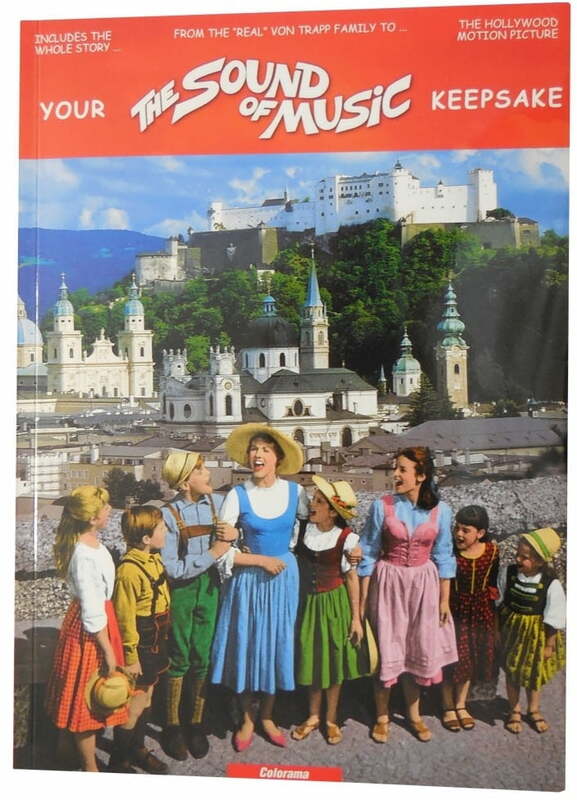 Covering the story of the "real" Von Trapp family, residents of the city until 1938, it tells you how their adventurous life became musical as well as movie history. Thanks to 135 pictures, you learn more about the actual sights which were the background for one of Hollywood´s most successful films ever. Anecdotes and gossip stories give an inside look of what happened back in 1964, when "The Sound of Music" was shot on its original spot! Welcome to Salzburg, whre both ficition and reality took place! This booklet is designed to be your helpful guide and beloved keepsake. Fragen & Antworten zu Salzburg Stadtführer "The Sound of Music"